She will be joined by MAPDA founders (Mother’s Against Prescription Drug Abuse) Kathy Creedon and Janet Janes. Congresswoman Mack has agreed to speak exclusively with the parents and participants of Behind the Orange Curtain. The Congresswoman is an advocate of stopping prescription pill abuse and is taking her case to Congress. Congresswoman Mack is looking forward to hearing the thoughts and comments from parents and loved ones who experience the loss of their child due to prescription drug abuse. 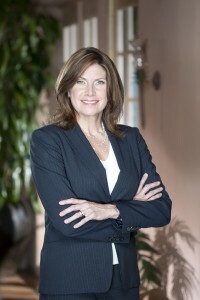 No matter what side of the political fence you are on, you have to hand it to Mary Bono Mack for taking a stand against prescription pill abuse. The Republican representative from California is heading a commerce panel for the Energy and Commerce Committee to raise awareness of the problem. On April 4, Bono Mack, the widow of singer turned Congressman Sonny Bono who entered politics after his death, introduced legislation that would ensure that on one can get drugs containing Oxycodone for other than the intended use – to reduce severe pain. The legislation is called the “Stop Abuse Act of 2011 (H.R. 1316) and she has garnered support from several of her colleagues in Congress. It’s a cause that’s personal for the Congre3sswoman but she’s well aware it affects the whole country. It’s hoped that legislation will stop Oxycontin pills from being so widely marketed. For one thing, the law, if passed will help thwart the pill mills that are rampant in Florida. Our representatives in Congress aren’t the only Americans wanting to step up. A while ago Taylor Armstrong posted about April Rovero, who founded the National Coalition Against Prescription Drug Abuse, after her son died from an overdose from prescription pills. This is a bipartisan issue.